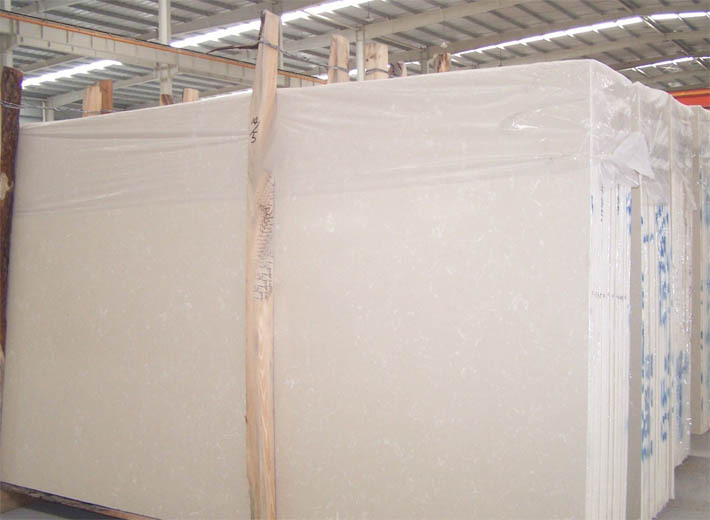 sanana beige artificial marble-welcome to china marmoglass, nanoglass, nano crystallized glass panel crystallized glass panel,crystallized white stone,white marble,minicrystal stone. Agglomerate Marble/Artificial Marble ( KT Series) is formed of 93% marble (or stone) chips and powder dust with 7% resin/binder. While Quartz Stone is made from 93% SiO2 with 7% resin/binder. So artificial marble is different from quartz stone on cost and hardness and so on. Price: 15 usd to 30 usd per m2 fob xiamen port according to size/thickness. 4. It is a kind of green decorative material popularized worldwide. 5. The slabs size 300x120cm and 240x160cm and color to be White, Beige, Blue,Green,Red, Black etc. 7. High quality and competive price. Please feel free to contact us for samples and quotation.